Music is widely regarded as a universal language, but the reality of translating lyrics is another matter. Compared with literature and speech, translating song lyrics places unique demands on the translator, who must try to retain not only the original meaning but also the rhythm and rhyme. Economist Benjamin Chiao sat down with China.org.cn on Jan. 8 to discuss the translation of song lyrics and his attempts to bring Chinese music to Western audiences. According to Chiao, one notable Chinese song translated into English was "Rose, Rose, I Love You," originally composed by Chen Gexin and later re-recorded in English in 1951 by Frankie Laine. Despite the similarity of the musical elements, the English text bears little resemblance to the original Chinese. Sadly, this song remains one of the few examples of popular Chinese music in translation. However, Chiao is now looking to reverse this trend. His website, Chinesesongs.org, is a valuable resource of Chinese lyrics translated into English. Since penning his first translations ten years ago, Chiao has translated lyrics from across the musical spectrum, with a diverse catalog covering an array of genres from ancient poetry to a Teresa Deng collection, from 1930s Shanghai jazz to Hong Kong rock music. 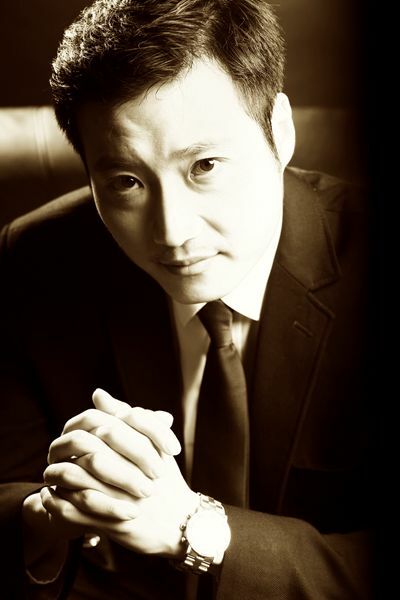 His work has been performed by musicians across China and Europe, including "Shanghai Diva" BaoBao Lin, on numerous occasions. One of his most recent translations was sung by Emily O'Hana at a breakout session during the Shanghai International Film Festival. At first glance, Chiao is an unassuming lyrist: he has a PhD in Information Economics from the University of Michigan; makes regular appearances on China Global Television Network (CGTN) and China Central Television Station (CCTV) to discuss economics; and has published several papers, including one with renowned French economist, 2014 Nobel Laureate Jean Tirole. He credits his interest in lyrical translation to his musical mentor, erhu virtuoso Wang Guowei, who Chiao said helped foster his interest in music, eventually leading him to play over ten instruments and even develop his own synthesizer, which he calls the "ten-key piano." Chiao's interest in translation is driven by his international connections paired with his belief that music is an important medium for bridging divides and sharing ideas between different cultures. "I really want to share the good stuff of China with my international friends. Despite being from different countries, we as human beings share much in common." Historically, according to Chiao, the moments when Chinese and Western cultures have fused have created some of the most exciting periods of music. At the start of the 20th century, Shanghai was a multicultural metropolis and the main conduit between China and the rest of the world. Venues such as the iconic Paramount dancehall hosted musicians from all across the world, spawning unique crossover genres. In this spirit, Chiao takes a lot of influence from the progressive atmosphere of 1930s Shanghai. New forms of music combining both Western and Eastern styles emerged, which, he said, fostered a culture of "tolerance and acceptance, derived but distinct from the traditional Chinese culture." As a result, "At the time, Shanghai pop music was the predominant music in China and Asia," he said. At the center of this culture was the Paramount dancehall. Zheng Xiaolin, the Paramount's Executive Director, said, "The Paramount was known as the best ballroom in the Far East. It was a center of Chinese jazz music. It attracted people like Charlie Chaplin who danced there both times he visited Shanghai." Chiao has translated an entire album's worth of Old Shanghai music. As an ode to the cultural transfusion of 1930s Shanghai, Chiao even took inspiration from Shakespeare. In his "Sonnet 43," Shakespeare used the word "bright" as a verb: "nights bright days when dreams do show thee to me." Thus, in his translation of "Ye, Shanghai," Chiao employed the same wordplay to describe the Shanghai night scene: "when the lights bright the night, the time has come." Ultimately, said Chiao, he sees translation as a creative pursuit. But how does he balance lyrical accuracy with the need to keep the piece within the bounds of the original melody and rhythm? "There is always a fine balance." He accepts that a translation will never be a replica of the original, but nor would he want that. Chiao describes his process as "part translation, part innovation." "The Chinese language, being terse, has a flexible meaning. Sometimes when there's no exact translation I will try my best to understand the song and find the best words to retain the overall mood and meaning." Chiao shared that he plans to build on his website and find more musicians to perform his music in the future. Chiao said he wants to form an open initiative to attract collaborators, and to systematically translate each genre of Chinese music. He is currently seeking professional musicians to produce the songs. 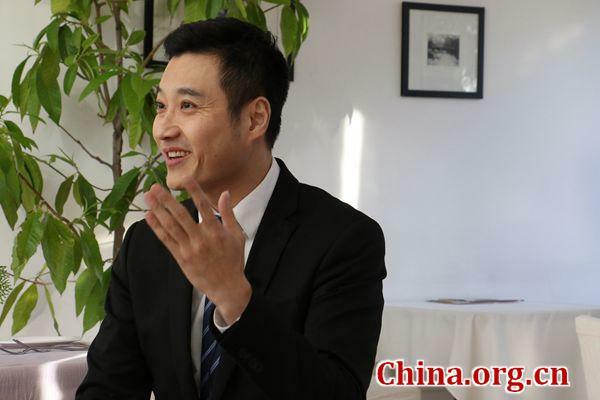 Chiao is confident that Western audiences will appreciate his work: "These Chinese songs, especially the Old Shanghai songs, are tested by an audience of 1.4 billion people. They are good!" Economist Benjamin Chiao discussed the translation of song lyrics in an attempt to bring Chinese music to Western audiences.